Lee and Helen Morgan. PHOTO: KASPER COLLIN PRODUKTION AB. COURTESY OF THE AFRO-AMERICAN NEWSPAPER ARCHIVES AND RESEARCH CENTER. Helen, born in rural North Carolina, a mother of two by 14, and a widow by 19, had migrated to New York City in the forties. She first arrived on a visit to her late husband’s family; she stayed having made her place in the world among the music and musicians in an apartment near Birdland. 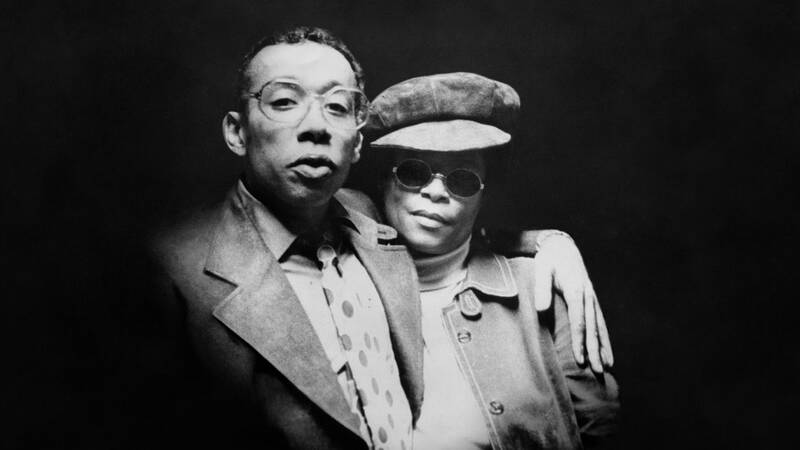 Helen described herself as a “hip square” to Larry Reni Thomas in the only interview she ever gave about her life and the death of Lee Morgan. 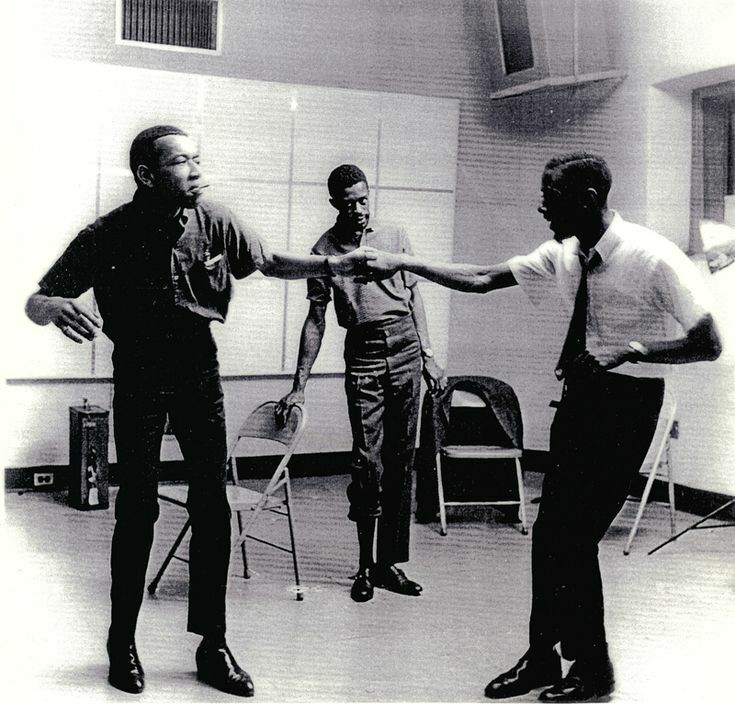 Lee Morgan dancing with Bobby Timmons, Louis Hayes looking on. Morgan, before meeting Helen, had reached rock bottom. 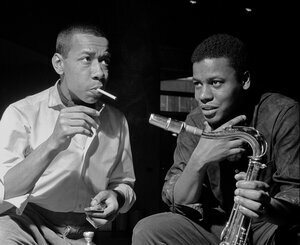 He was no longer the ebullient trumpeter of hard bop we see in stills from recording sessions at Blue Note, poignant images depicting the baby-faced exuberance of a teenaged musician, who had a distinct musical style and a penchant for looking clean, “Ivy League” said Wayne Shorter, at all times. Morgan liked fast cars; he smoked, he laughed, and he played the trumpet. Val Wilmer interviewed Morgan in 1971. He explained his artistic vision: “I find that the essence of creativity is the newness of things, and the only way to keep things new is to have constant changes of environment and surrounding and people and all that, you know. And that’s the thing that is so exciting about being a jazz musician.” The last new thing Helen could support was a girlfriend. Helen knew her worth. “Like I made him. You know. I brought you back. You belong to me.” She rejected the idea that he could start “seeing this girl,” leaving her alone at home every night. “I was not one of the nicest persons either. I will not sit here and tell you that I was so nice because I was not. I was one who will cut you. I was sharp. Yeah. I had to be, had to be. I was sharp. 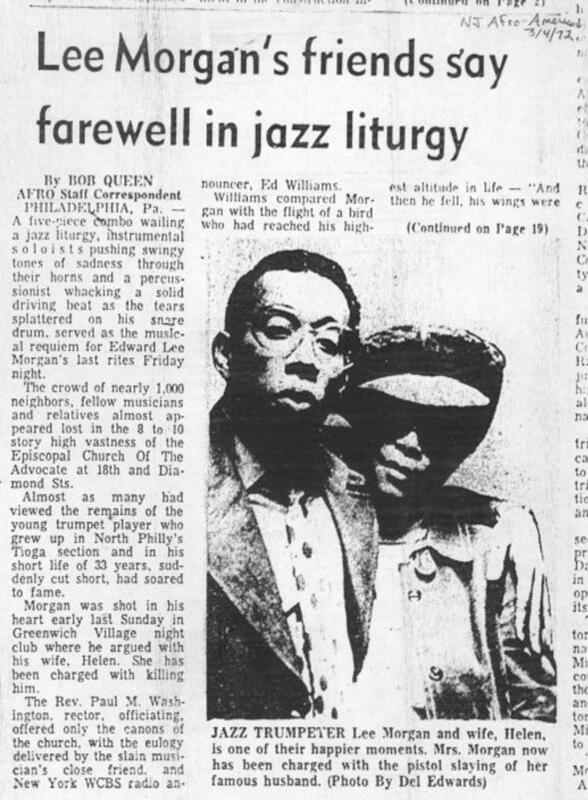 And I…I looked out for me.” But Lee Morgan wouldn’t accept the price. “He had somebody (his age) to play with,” recalled Helen. “Did I love him? Or did I think he was my possession? And I think part of that might have been my fault because I might have stopped being…I might have started being too possessive or too much like a mother to him.” The musicians who witnessed the shooting and were profoundly angered by her actions, still found that they could accept and embrace her afterwards. Bassist Larry Ridley said “The anger just went away” when he later saw her. David Rosenthal sees the shooting as definitely marking the death of hard bop. After pleading not guilty in April 1972, Helen posted bail in May. In 1973 she pled guilty to second-degree manslaughter. According to Lee’s biographer, Jeffrey McMillan, despite speculation that she’d been sent to a mental institution, exact information about Helen’s sentence is unknown, as her case file had been taken from the County Clerk’s office. She moved back to Wilmington in 1975 and died in 1996. According to her son, Al Harrison, her life in the Methodist church was devotional penance. Love, heartbreak, forgiveness, redemption: the narrative arc of a jazz life. Yes! It’s National Poetry Month! Defunding Arts and Culture: Will It Happen?